Communities are the greatest vehicle for impact there is. When you put the right people together incredible things can happen. However, many communities never get to that point. They never reach their full potential. And It’s certainly not for lack of trying. Passionate members bust their backs to get people in the door, to spread the message and to further the mission, but despite their best efforts, they fall short. Too much focus on putting lots of people together and not enough focus on bringing people closer. It’s a small distinction that makes a massive difference. In today’s world, quantity seems to be winning in the age old match-up between quality and quantity. As a society, we’re obsessed with quantifying everything—237 likes, 100,000 followers, 500 members, the list goes on. We tend to get tunnel vision and lose sight of the immeasurable, intangible things that can lead to meaningful numbers and real growth. To create a thriving community, you have to strike a balance of the two. And let’s be honest, we’re tech people so we definitely geek out over good data, but we’re also people-people so we want to go beyond the figures and get to the person. Journey Church sparked instant interaction with live polls, generating meaningful conversations that extended beyond the sermon. Abundant Life Church increased their giving by 30%. Mission Church Ventura gave students with special needs “A Prom Night to Remember” with crowdfunding. Witnessing what our digital solutions did for these good folks and many more, we couldn’t help but be inspired to help other communities on their journey to make the world a better place. So that’s what we’re doing. We’re all in for all communities. And that’s a big part of what makes us so different from our competitors. 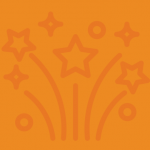 We’re passionate about powering community and supporting all that it entails. Because handing over an app and saying, “good luck!” isn’t our style. We want to work with you to create a digital gathering space that not only looks and feels right for your brand, but more importantly helps you learn about your members and enables you to deliver on what your people really want and need. 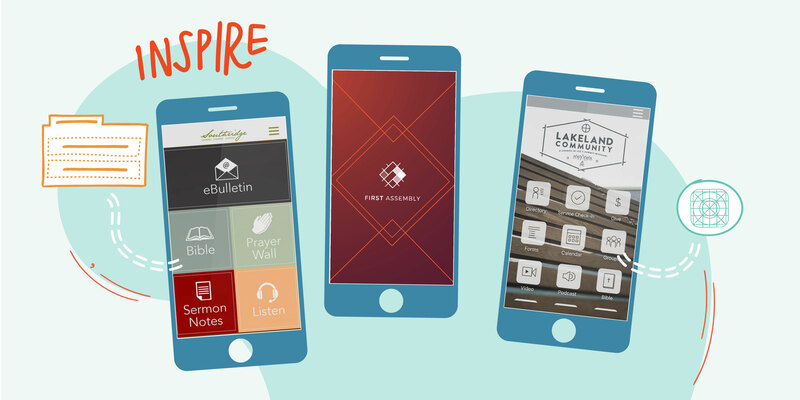 The app is just one way we can help you engage and grow your community. On top of that, we offer features like all-in-one mobile giving, dynamic calendars and event management tools, and so much more. The most important thing to know about us is that we practice what we preach. Our focus truly is on bringing the people of your community closer together. You’re on a mission to do something spectacular and we’re right there with you. The goal is to get to know your exact needs and create digital solutions that push your community forward as one. And as you forge ahead, we’ll support you every step of the way. 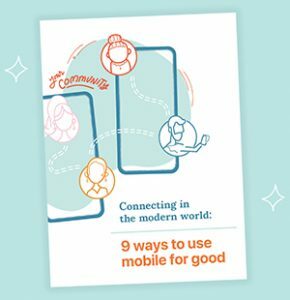 Download our ebook to see all the ways going mobile can transform your community.